Games, game based teaching and playing in the classroom have become more and more emphasised in the recent years. It has been a hot topic not only in the early years but with older students too. It is trending in ESL and bilingual schools, as well. We try our best to make kids enjoy the class and remember as much as possible when they get home after the classes. As I consider myself a lifelong learner, I make an attempt to attend relevant workshops to get new ideas that could come handy and can be used in daily practice. So when I saw there was a workshop about games in the primary classroom, it was only a question of time to participate. The Webinar was hosted by Pearson ELT Spain, presented by Elena Merino about how to integrate games in our primary classrooms, how to get the most out of our lessons using fun theory. This little follow-up blogpost is my take away from her. I believe and support both, structured and unstructured games in the classroom so I was looking forward to hearing from it more by attending this Webinar. I believe games should be part of the daily life of kids as well as adults. Games teach us real life skills, collaboration, self-management and social skills, all sort of communication skills such as listening, speaking and other non-verbal communication as well beside a lot of other useful things, the list would be infinite. So we can’t emphasise enough the importance of games. Elena gave us practical ideas how to use structured games or play based learning in our daily routine to have fun in our classrooms. Playing games changes emotions, get kids engaged, interested, motivated and proud. They gain experience and get better and better as they practice. Using XP (experience points) that teachers can use later for getting rewards (badges, stickers…etc.) XP can be converted into grades so they can also be used as assessment tools. We also love using games in my classroom. Last year as it was the trend, I used Pokemons to assess kids’ knowledge at the end of our unit. I mentioned it in one of my previous blogpost that was about annoying trend of the year. There is a short description of the game/assessment in case you are interested. I hid different Pokemon cards in the school with some questions on the back. Gave kids a sheet of paper where they needed to write the questions that could be found at the back of the Pokemon cards and their answers. Then the treasure hunt started. Needless to say, they loved it. Find out more about it on Miss T. PYP. In upper primary kids, we could also use Minecraft and Celebriti to play and to assess their knowledge and learning. 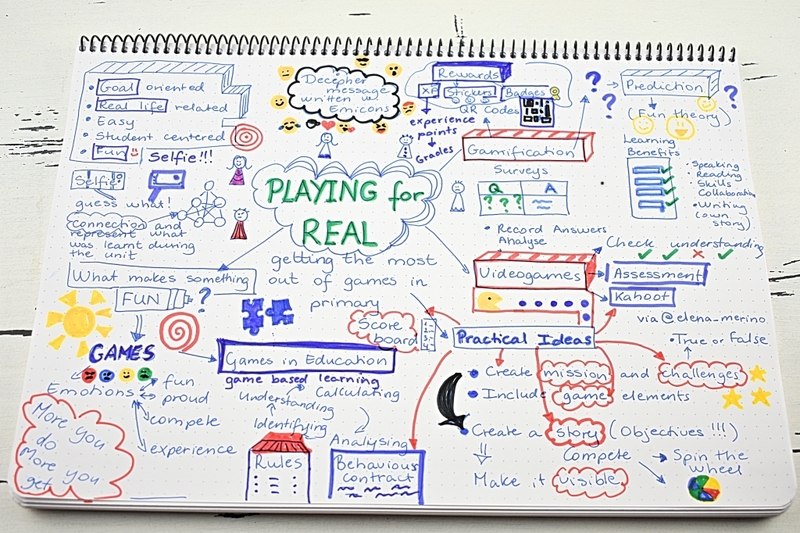 All credit is Elena’s who put this excellent Webinar together to give us some guidelines how to use games in our classes.